Posted on November 29, 2016 at 2:39 pm. Are more players heading online to play at offshore casinos, or are less people simply choosing to play the pokies? With figures showing South Australian poker machine expenditure is at its lowest since 2003, the government would certainly like you to believe the former. However, there’s every chance all those responsible gambling advertisements are finally paying off and less at-risk players are pumping their hard-earned cash into the machines, in which case, these figures should come as good news. But of course, every rose has its thorn, and with pokies revenue down, the government and hospitality industry are not happy. This isn’t surprising, considering the State Government relies on taxes earned from the pokies for a cash injection of close to $300 million each year. The hotel industry is warning that if players are taking their gambling online, Australian jobs are at risk. 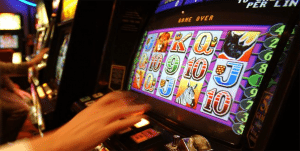 Australian Hotels Association SA general manager Ian Horne said that the decline in pokies revenue is forcing pub owners into making tough decisions like cutting employees work hours. He attests the loss of pokies revenue to economic uncertainty, government regulations and of course, online gambling. “When one revenue source has been in such significant decline, and there is no capacity to increase prices because competition is intense in food and liquor, people simply have to tighten their belts,” Mr Horne said. While the prospect of hard working Australians losing their jobs in a struggling industry is always terrible, statements like this are testament to the fact that the government and hotel industry rely on punters losing their money to the pokies in order to benefit financially. Because of that, it’s always hard to take the government’s anti-pokies stances seriously. Sure, revenue might be on the decline when you take inflation into account, but with figures in the multi-millions in SA alone, the 800,000 Australians with online gambling accounts pale in comparison. Last week South Australian Treasurer Tom Koutsantonis announced that SA would impose an online wagering tax to all Australian registered betting companies, while calling for the Federal Government to act against offshore operators. The Federal Government has since revealed its plan to implement a National Consumer Protection Framework in regards to online gambling. Mr Koutsantonis said regulation had to move quickly to catch up with online technology. This is a fair statement, but you can see why it’s hard to take the government seriously when talking about harm done by gambling while complaining about a decline in pokies revenue. Stories like this do nothing but prove that the pokies have become necessary for the financial function of so many organisations, and that the government is not concerned about the potential harm of online gambling, but merely the loss of money to their own pockets. Read more about the measures being taken by Australian politicians to prevent the spread of online gambling.